Dental emergencies can happen at any time. Would you know what to do if you or a family member suffered from a broken or knocked out tooth? You can do your part now by keeping your teeth healthy with daily brushing and flossing and regular checkups at your dentist. However, accidents happen without warning. 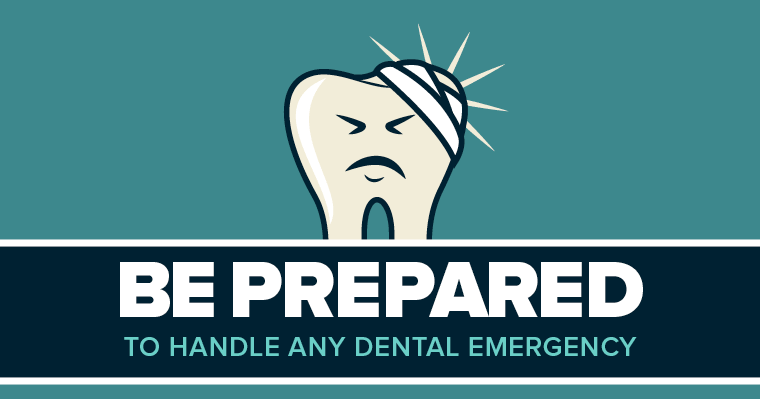 To help you be prepared for any potential dental disaster, we’ve put together this list of common dental emergencies and what to do about them. Bookmark this link and save for the future so you’re ready to take quick action.